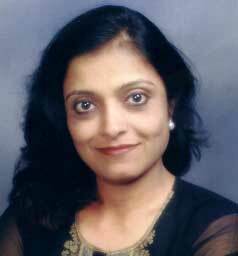 Professor Dr. Srisakdi Charmonman is son of H.E. Phraya Nitisastra Baisalya (Von Charmonman) and grandson-in-law of HRH Kromlaung Chumporn Ket Udomsak. H.E. Phraya Nitisastra Baisalya was a former Deputy Principal Private Secretary for Foreign Affairs to HM the King Rama VII, former Minister of Justice, Acting Prime Minister and Acting Head of the Revolutionary Party when H.E. Phraya Paholpolpayuhasena took a sick leave for about 6 months. Prof. Dr. Srisakdi Charmonman completed his Civil Engineering from Chulalongkorn University, completed his masters in Hydraulics Engineering at AIT, and graduated as the top of the class. He has done his Ph.D. in Engineering Computations from Georgia Institute of Technology, USA. He was the Assistant Professor at McMaster University, and Associate Professor at the University of Alberta in Canada. 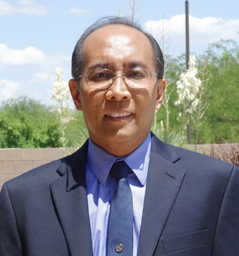 Then he joined as the Director of Graduate Studies in Computer Science at the University of Missouri-Columbia in the US, Full Professor of Computer Science at the State University of New York at Brockport in the US, Full Professor at NIDA, a C-11 Professor at King Mongkut’s Institute of Technology Ladkrabang in Thailand, and Founder and Chairman of the Board and Chief Executive Officer (CEO) of the College of Internet Distance Education (www.eLearning.au.edu) of Assumption University of Thailand which offers the first and only Ph.D. in eLearning Methodology in the world. He has been the Director of several research projects with grants from the National Research Council of Canada, the US National research Science Foundation, the National Research Council of Thailand, UNESCO, Ford Foundation, USAID, United Nations Centre for Transnational Corporations, International Development Research Centre (IDRC) of Canada, International Federation for Information Processing (IFIP), and International Centre for International Development (ICID). He is a Member of the Board of Trustees of Assumption University, a former member of the Board of Trustees of Burapa University, and of Asian Institute of Technology, a former Chairman of the Committee to Write Computer Textbooks for the Ministry of Education, Former Chairman of the Committee to Write Textbooks for Sukhothai Thammathirat Open University, Chairman of Several Civil Service Sub-Commissions to Consider Professor positions in Engineering, Architecture, Computers, Statistics, Accounting etc. He had also been Chairman of the Committee to Approve Curricula in IT-related Fields for Private Universities, and also for Government Universities. Prof.Dr. Srisakdi Charmonman was Founding President of Thailand Chapter of the ACM which is the largest and oldest Computer Science association in the world, Founding President of Thailand Joint Chapter of the Computer Society and the Engineering Management Society of the IEEE (IEEE Computer Society is the largest and oldest Computer Engineering society in the world), Founding President of Thailand Chapter of the Internet Society (ISOC) and the Representative of an Organization Founding Member of ISOC. He was the President of the Computer Association of Thailand under the Royal Patronage of H.M. the King in the years 2000-2002, 2002-2004, 2006-2008 and 2008-2010, and Honorary President for the year 2010-2014. 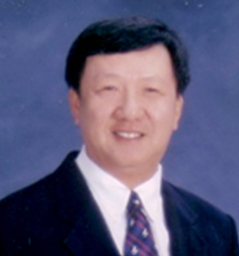 He is the Founder and served as the President of South East Asia Regional Computer Confederation (SEARCC). 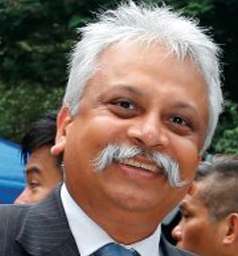 He was also elected one of the 5 Directors of Asia Pacific Network Information Centre (APNIC), one of the 15 members of the Board of Trustees of ISOC, and one of the 10 members of the Board of Trustees of the International Federation for Information Processing (IFIP). He has served as Chairman of the Organizing Committees of the International Conference on eLearning for Knowledge-Based Societies for over 10 consecutive years, as well as Chairman of the Organizing Committees of many other international conferences. He is the Chairman of Srisakdi Charmonman Foundation with asset of over 26 million Baht. He is a Member of the Board of the Interdisciplinary Network of the Royal Institute of Thailand Under the Royal Patronage of H.R.H. 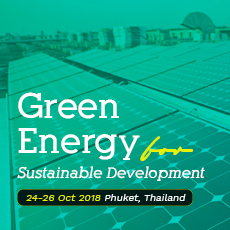 Princess Maha Chakri Sirindhorn, as well as a Founder and Senior Chairman of the Interdisciplinary Network Foundation for Research and Development. He was also the Chairman of the Web Development Sub-Committee of the December 5 the Great Foundation. Prof.Dr. Srisakdi Charmonman was named Asian Computer Man of the Year 1981 and appeared on the front cover of Computer-Asia Magazine published in Hong Kong. He was named Father of the Internet in Thailand by Bangkok Post and several other publications. He was named Man of the Year in 1996 and 1997 by GM Magazine, Person of the Year 2004 by EconNews (Vol. 15, No. 449, September 2004), and Man of the Year 2004 by the American Biographical Institute. In 2006, the International Biographical Centre of Cambridge in England named him the Father of Thai E-Learning. He was named Fellow of the Royal Institution of Great Britain (FRI), with certificate signed by HRH the Duke of Kent, a cousin of HM the Queen of UK. 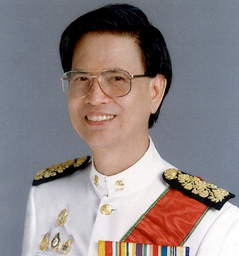 In 2012, the Senate of Thailand honored him with a Certificate of Excellence in eLearning. He was also given Certificate of Excellence in eLearning by World Education Congress in Mumbai, India in 2013. Assumption University of Thailand honored him by constructing a 15 US$ million building named “Srisakdi Charmonman IT Center” which was declared “Center of Excellence in IT Education” by the Ministry of Information and Communications Technology. Siam Technology built an office for him with 130 Roman columns. Prof.Dr. Srisakdi Charmonman has written over 4,000 articles and books on IT and related subjects and lectured in more than 30 countries. He has used more than 20 computer languages, taught more than 20 computer-related courses and served as chairman of more than 4,000 academic committees for graduates of Master's and Ph.D. degree programs. He has also served as the Announcer of the radio program “Internet IT with Srisakdi Charmonman”, on Radio Thailand AM 819, every Sunday at 11.00-12.00 am, and television program “Internet IT with Srisakdi Charmonman” on UBC DLTV9, DSTV89, and CATV56 every Sunday 12.00 noon – 1.00 pm. He is also the Founder and the Editor-in-Chief of the International Journal of the Computer, the Internet, and Management (www.ijcim.th.org) which has the Impact Factor of 5.46 in Index Copernicus Journal Master List and is listed in the database of Thai-Journal Citation Index. H.M. the King graciously bestowed upon Prof.Dr. Srisakdi Charmonman all the four Royal Sashes for civil servants. They are Knight Grand Cross (First Class) of the Most Noble Order of the Crown of Thailand in 1987, Knight Grand Cross (First Class) of the Most Exalted Order of the White Elephant in 1990, Knight Grand Cordon (Special Class) of the Most Noble Order of the Crown of Thailand in 1993, and Knight Grand Cordon (Special Class) of the Most Exalted Order of the White Elephant in 1996. H.R.H. Princess Maha Chakri Sirindhorn graciously granted an audience for him to be blessed on his 72nd birthday in the year 2009.